Towngas has become one of energy suppliers in Hong Kong since 1862. Over the past 150 years, the reliability of fuels supply has played an important role of economics blooms and high contribution to livelihood improvement. The design concept has embedded the signature element of logo, the flame together with natural environment. This neat and clean cover is composed by numbers of flame shapes, in lines and colors; to become flowers, leaves and butterflies. The design implicates the clean energy provision contributes to the growth of eco-system by lessening the impacts during energy generation. In recent decades, the sustainable growth also become one of the major aspects which engaged a large amount of resources input. Though Towngas is an energy supplier, she concerns about the protection of the environment as knowing that both areas are complement each other. 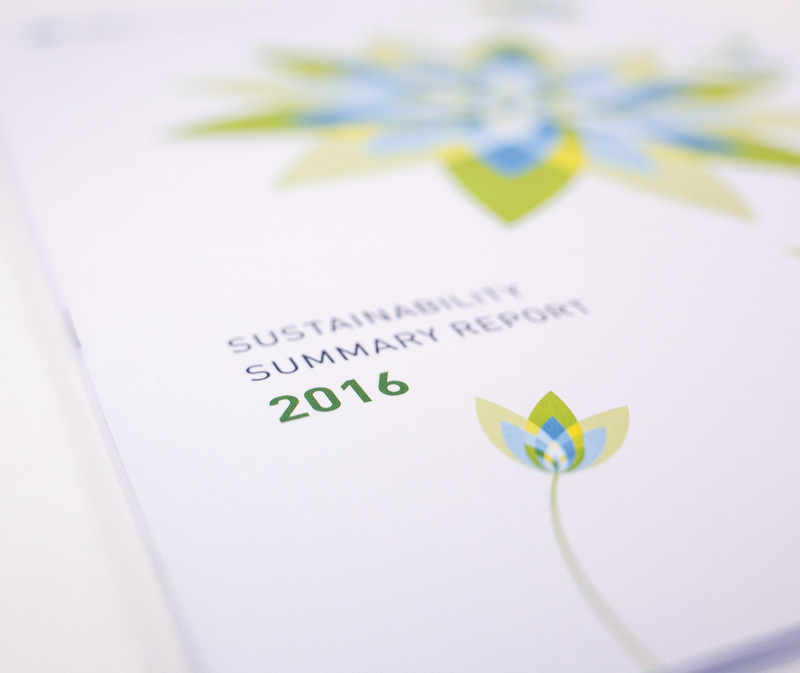 Therefore we took these 2 important elements as the theme of the Sustainability Report of 2016.